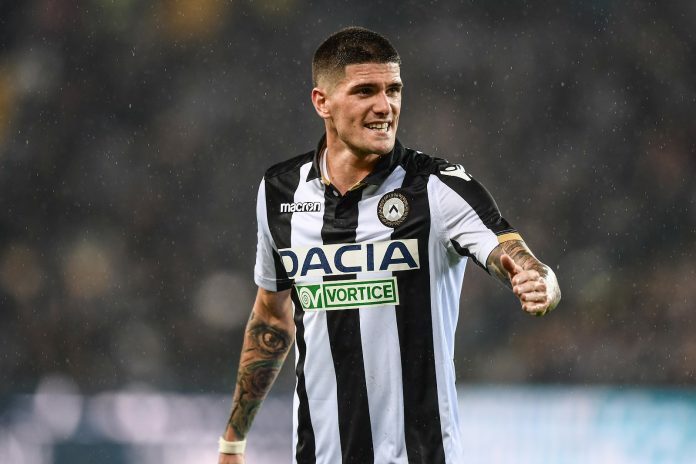 Rodrigo DE PAUL has renewed his contract with Udinese. 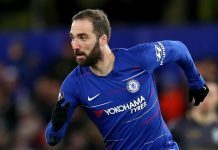 The Argentina man has put pen to paper, inking a new deal which would keep him until at the Serie A club until 2023, which would bring his total time there to seven years. DE PAUL joined Udinese back in 2016 after bouncing around between Valencia and Racing Club. He has also been called-up to the Argentina national team for the second consecutive month. Thanks to the fellow fans here I have started following Udinese for this player since 1 year. Other than his dribbling skill and scoring ability, I find him very strong physically and not easy for the defenders to mark him. His profile offers something different, reminding me of Figo. Based on the current form of players, I would put Vazquez, De Paul and Icardi easily in the starting XI, but it’s really hard to choose between him and Cervi. I like both but only 1 place for 2. DePaul is excellent, with his physical strength, versatility, shooting and especially his crosses he’d make a great edition to the NT. Thanks for sharing Gonzalo. Seems to be another inverted winger, but unlike De Paul and Pereyra, he seems to play deeper, involved more in the transition and seems to be a better fit in a 4231 system. With the current tactical system, there are only 3 spots for offensive players: very secured for a striker profile, the other 2 guys should be either a playmaker(Pity, Vazquez) or 9-half(Lamela, Dybala) and winger(Cervi, Correa, Pavon) or inverted winger(De Paul, Pereyra). Zaracho’s profile seems actually quite hard to be a good fit. I think Scaloni is appointing versatile players. Zaracho is good for different tactics and positions. He may play also more defensively like box-to-box. I really wonder how Scaloni want to use him. I just hope he will got more minutes than Vargas, not to mention about Di Placido. I like him but I think Alexis Mac Allister is far more talented. 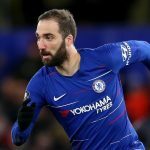 Speaking of Alexis he’s been out for weeks now, I wonder if his injury is really serious, hey Gonzalo have you heard anything about Alexi’s injury? “De cara al choque del próximo domingo ante Independiente, que puede ser clave para la continuidad del entrenador, el Bicho pierde a Ybañez por expulsión y espera por la recuperación de Alexis Mac Allister y Damián Batallini. Pero especialmente, se espera un cambio de actitud, antes de que sea tarde”. Yes, for me players like Alexis MacAllister, Nico Dominguez, Juan Ramirez, Tomas Pochettino or Lucas Robertone deserved more for call up than Zaracho. But I like Scaloni has his own original choices. We must remember that Palacios, before was called up, was regular starter for River only since april and never looked much impressive. Was good, but not staggering. Also his stats were now impressive. THere were other potentially better options in that time. But Scaloni appointed him and the choice seems to be right. It’s really hard to predict which talented youngster will finally succeed. 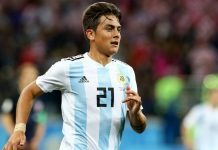 here is interesting read (in Italian though) how River wanted to steal some Argentinos Juniors talents (including MacAllister) and how the River talents fabric is planned to be reconstructed after years of lows. In fact Argentinos Juniors is acknowleged as having best youth players in Argentina (currently along with San Lorenzo and Velez). In fact, when it comes to talent issue River is nowhere near to Argentinos, San Lorenzo, Velez, Rosario Central or Estudiantes. Yoe are naming names of last years. I’m talking about current state. Rosario Central has currently 6 representants in U-20 team and more interesting around A team like Rivas or former U- 20 Joaquin Pereyra, like Lioi or Lopez Pissano. 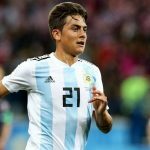 off topic lads but applause must go our argentine Manu Ginobli who has officially had his no 20 shirt number retired by the spurs-always an argentine and of course was part of the argentine b.b. Olympic gold winning team. a great servant to the game and always after any champion ship win would be seen with pride walking around with our Argentine flag over his shoulders and even brought the n.b.a trophy to Argentina when the spurs last won it. will be something special forever my friend. he put us in world map of basketball and he make known in world that Argentina is not only football , Maradona and Tango. I hope River Wins CL. I’m not a river fan, nor follow the league. But if River Wins, it will feel more like a Victory of Argentina. For outsider fans like me, River is the Symbol of Argentina Club football. Agreed. Boca used to be very Argentine but now has many Colombian players. Also, I like Gallardo to have one more title. Actually Boca is the most demotic club of Argentina. I love these smart choices. Like this and Lo Celso’s.